When the idea of starting a blog came about, I had no intentions of writing about autism. I thought of my blog as an outlet for my other interests but I quickly realized that my son’s autism is a part of my life that should be shared and talked about. 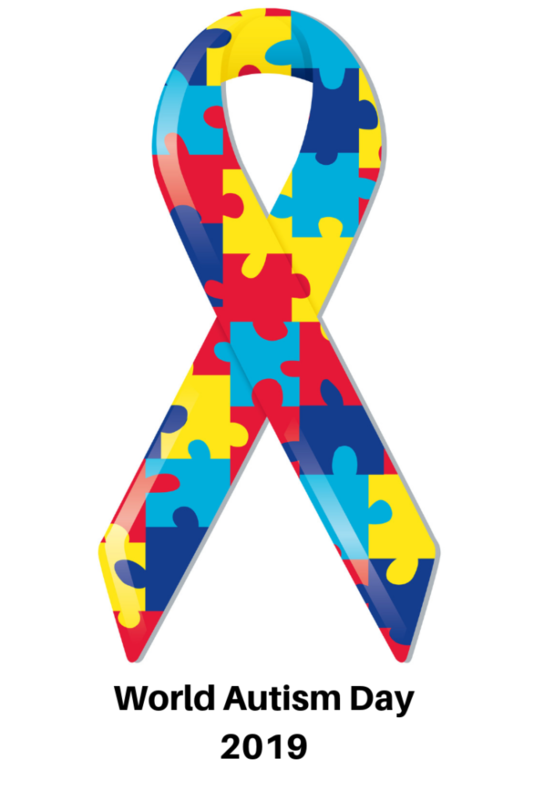 Autism awareness is still an ongoing subject that deserves attention and if I can share something that helps another parent, or even someone who knows nothing about autism, I’m more than happy to write about it. Especially today, April 2, 2019, World Autism Day. I am so proud to be writing this post in collaboration with another Autism Mom who is an amazing woman. Her name is Jessica Holley and she has a YouTube channel called Blessed Jess. I found Jess’s channel while doing “Disney” research, specifically for families who have visited Disney with special needs children. I am so happy to have found her not only for her Disney content, but as someone I could relate to as we share many things in common. I was so excited when Jess said she would join me today to share and spread our personal experiences as autism moms. Please check out Jess’s YouTube channel and support her. She has such great content, sharing everything from every day vlogs to meal preps, shopping hauls, and her family life. For my part of the collaboration, today I thought I would share about my son’s sensory needs and what we do to help him. For those of you who are not familiar with sensory issues, you are not alone. I had no clue what the Occupational Therapist was talking about when Michael was first diagnosed. She mentioned things like sensory diet, input, brushing and wrapping him in a blanket like a burrito. I thought she was nuts. I realize then there was so much to learn about my son’s obvious characteristics of autism. Yes, he is non-verbal, a toe walker, he has tantrums, and then the behaviors I didn’t understand that were part of the sensory issues. I had to try to be open in my understanding and accepting of these sensory issues and I will not lie, it was probably one of the more difficult aspects of autism to really understand. The way the OT explained it to me was my son could be sensory seeking or sensory avoiding. For my son, it seems he was and is more of a sensory seeker. Although there are days where I can recognize he is experiencing a “sensory overload”; working with Michael’s OT, as well as his ABA therapist and BCBA, have been helpful in finding ways to help Michael cope and work through his sensory needs. On days when he is sensory seeking or needing input, he may enjoy rough housing, deep pressure applied on his hands, arms, feet. He may want to be constantly on the move, fidgeting, not able to sit still. He sometimes can’t focus or is easily distracted. There is also his inability to understand his personal space and body awareness. On the days when he is experiencing a sensory overload, more than likely he is in a new location with loud noises and/or overwhelmed with the amount of people. I may find him with his hands on his ears looking for a way to escape. He may try to hand me his coat or shoes in an effort to let me know he wants to leave. Working with Michael’s OT, as well as his ABA therapist and BCBA, have been key in finding ways to help Michael cope and work through his sensory needs. We have a few tools that we use here to help him, and I thought I would share them with you today. Every child has different needs, but we have found these to be most helpful. Trampoline – We purchased a trampoline almost immediately when Michael’s Early Intervention OT told us how much he could benefit from the constant input of jumping. She was so right; he loves that trampoline. I can’t even tell you how many we have gone through, but this is the one thing we will never be out of. We even take it with us on vacations. The one we have folds up for easy travel and storing. Our home ABA therapist also uses it as a way for him to self-regulate during a break. Sensory integration products – These products consist of fidgets, knobby balls, stretchy strings. These are all products designed to reduce anxiety, stress, and regulate behaviors and emotions. Pop Tubes – Another sensory fidget toy that Michael loves. Like the stretchy strings, these tubes come in different bright colors and provide additional help with his coordination. Activity Ball – Michael received this as a gift this past year for Christmas and he is quite fond of it. If he could bounce on this all day, he would. He’s had to learn to share it with his brother and I’m thinking I may need to get another one so they each have their own. There are also many other things we can do to help Michael with his sensory issues. If we are going to some place new or a situation where there may be loud noises or crowds, we always explain to him ahead of time, so he knows what to expect. Although Michael doesn’t require a sensory diet, his OT works on many of these issues with him. His teachers and therapist are all experienced in working with Michael and can always offer me suggestions when I need it. If you know someone who has a child with Autism, ADHD or Sensory Processing Disorder, I hope that this gives you a better understanding. Like I’ve said, I learn something new every day and I know I have so much more to learn. 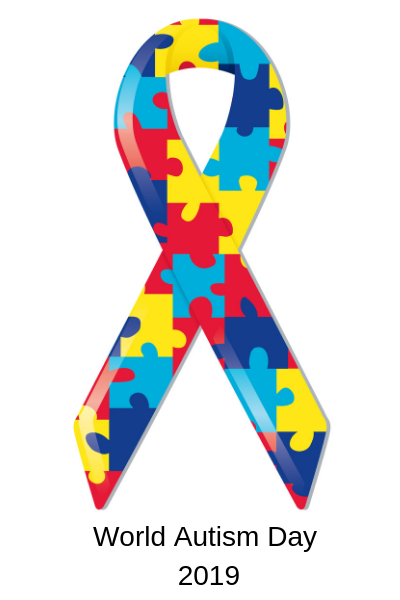 World Autism Day was started to bring attention, awareness and education to the world. I urge you to take the time today to learn more about autism. Reach out to a special needs parent, ask them questions if you want to know more about their child or autism in general. Take the time to ask them if there is anything they need help with. Take the initiative to let them know, they are doing a great job. All that most of us ask for or want is understanding and acceptance. I want to thank Jess for partnering up with me today and working on this collaboration for World Autism Day. There is no one better I can think of that I would want to share this day with. Go over to her YouTube channel, to learn more about her experiences as an autism mom. While you are there, be sure to subscribe, I promise you will not be sorry you did. So much good info! Thanks so much for inviting me to collab! Hi Jess! You’re so welcome! I enjoyed sharing this with you and I hope we can do it again in the future. to learn more & more about austism as well as help others. God bless you.